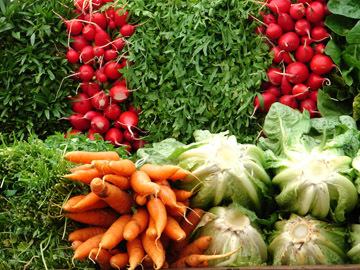 What would you do with an abundance of fruits and vegetables grown right in your very own home or garden. With your food savings, you might be able to spend your hard earned money on a family vacation this year. More and more these days, it is becoming more environmentally and economically correct to do urban farming and have your own edible garden. With the current economic climate, people are encouraged stretch their budgets tighter than ever before. Growing your own garden, may help cut down on escalating food prices and actually make it possible to befriend your neighbors with your harvested edibles. If you own your own home, setting aside a space to create your own garden may be a delightful option to purchasing fruit and vegetables in a store. If you rent your home, there are still many options available to you to provide your family with the fruits of your labor. Either way, you can rest assured that you are doing the very best you can to provide quality, nutritious fruits and vegetables for your family. Consider what you would like to grow in your garden and how much space you can allocate for your plants to grow. For a family of 4 with enough left over to feed your neighbors, consider starting with 25 square feet per person if you can. Check with your local nursery or agricultural office to see what type of food sources grow well in your area. Purchasing seeds online is easier than ever before and local home improvement stores are becoming great sources for potted fruits and vegetables these days. Raised Beds: Planting a raised garden bed is a very simple way to ease the stress and strain of digging into cold or hard soil to plant your edibles. Simply place wood or concrete blocks around the outside edges of your garden and backfill with a good organic soil. If it is possible to install a drip system or irrigation system, this is the most ideal way to keep your plants in good shape over the growing season with a minimal attrition rate. Then set your plants in rows with a name tag at the end so you remember what you planted and maintain as necessary until your plants are ready to harvest. Be sure to fertilize your plants to keep your plants producing abundantly. Pots: This is a great way to have your edibles in a small space or near your kitchen. I always get clay pots because they handle heat better and are easy to care for. Put a great organic soil in each pot and install drip irrigation system if possible. Find a mixture of edible plants that you like and plug them in the soil. Three to four different types will grow well together in a pot. Hydroponics: There are new hydroponic companies sprouting up all over the United States that specialize in growing plants in small space containers indoors. Kits can be purchased that contain all the necessary ingredients to grow these amazing plants. If you truly have a lack of space outdoors, then this is your item. The internet is filled with useful tips to growing huge amounts of fruits, grains and veggies in abundance in these container gardens. Growing edibles throughout your garden is a great way to make sure you have an abundance of fruits and veggies not only for your own family, but to share with neighbors as well. Many fruit or nut trees as well as berry plants can be planted in amongst your regular ornamental plantings and will survive very well. If you have small children, make sure you train them on what they can and can’t eat in the garden. Encourage your neighbors to do the same thing with different varieties than what you are growing and you can share your harvest together. If you are lucky, someone on the block knows how to can the fruits of your labor and you’re set through the winter months. Consider hiring your local landscape designer if you are unsure of how to grow your edible garden. These trained professionals are practiced in the art of urban farming and can work with you to design and install the garden of your choice. They can even work with your neighbors to help create a co-op of edibles to be shared in the neighborhood. Whatever your goals, Landscape Design professionals can assist you in your urban gardening needs. Initially, buying a home is a fun and creative adventure, but once the honeymoon wears off, you are suddenly faced with living in your new space and it may not be as functional as you thought it was when you bought it. You may suddenly get that urge to change things around and make the space feel truly your own , but deciding just how to go about doing that may seem overwhelming to you. By now you have decided that building a cathedral would be just as difficult as deciding what to do in your home, but rest assured that there are design professionals who can help you figure out what to do and how to get it done, but more about them in a minute. The first step is to look at the big picture of what you want your home to ultimately look like. Sit down, write up a list of everything you want to do to fix up your home and garden, or maybe you just want to start from scratch and build from the bottom up. Whatever your goals for your home are, write them out on a piece of paper and make Xerox copies for any design professional that will need them. If this is a project to be done over time, assign a date of completion to each item you have. This puts your thoughts in the physical universe and helps you to stay on target with your goals. If you are going to hire an Architect, or a Landscape Architect or Landscape Designer or an Interior Designer or any other professional in the construction industry, how do you know who to hire first and what to look for when you hire them? You might wonder after you hire them if they are all going to get along and see eye to eye on things. After all they are all going to be in your space and sometimes all together at the same time. The best thing to do is meet with them all at the beginning of your project, give them your Xeroxed goals list and tell them you are working with other design professionals to install your project. This gives everyone a chance to work out their involvement in the project, prevents stepping on each other’s toes during the process and encourages collaboration between colleagues. This way you can see how they all work together and make any personnel changes if needed. Each design professional will assist you in working out the exact steps they will take in creating and installing your project. If you are installing a rather large project, you may wish to hire a General Contractor to oversee the project for you. They may coordinate the actions of each of the design professionals and keep everyone on track towards the completion of your project. Most design professionals welcome other professional collaboration because the aesthetics and functionality of the space should increase dramatically when each designer brings their expertise to the table. If the house looks good, the interior design will enhance that and the gardens should fit in with the architecture of the home and the surrounding community. Overall, the project should reflect the homeowners ultimate dreams. A good design professional, whether it be an Architect, Interior Designer or Landscape Architect will all work together to give you, the home and garden of your dreams. Plastic flowers are the only color accents in your garden. You lose something in your front yard and can’t find it in the weeds. You give up on plants altogether and convince yourself that dirt is pretty. Your pathway to the front door consists of leftover tile from the bathroom remodel. You have more garden gnomes than plants. You give people directions to your house and it includes the words “pink flamingos in the front yard”. You have your old kitchen sink in your front yard as a planter. If any of the above describes you, then knowing you are not alone, should be a great relief to you. If you could change the way your garden looks by yourself, you probably would have a long time ago, but for many, this could be a daunting task. If you walk outside today and think to yourself, “I really don’t like my yard” then read on. 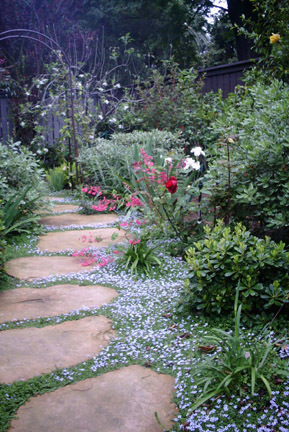 The perfect place to start is to imagine what you would like your garden to ideally look like. Would it have a pool, a pretty tree, a fountain? What about the rest of your family? Would the kids like a swing set, or does Dad like to barbecue? Take a few minutes on the weekend to sit down with your family and write a list of things you all would like to have in your new garden. Over the next few weeks, cut out magazine articles of certain items that you’d like to see in your new garden. It can be a picture of a pathway, or a wood feature, or anything that you feel good about. This helps to you to visualize what your garden could look like when finished. Congratulations, you are halfway there. The very next step is to pick up the phone and call your local garden designer for help. A good garden designer can take your ideas and along with their creative expertise, help you to work out the best way to design and install your new garden. 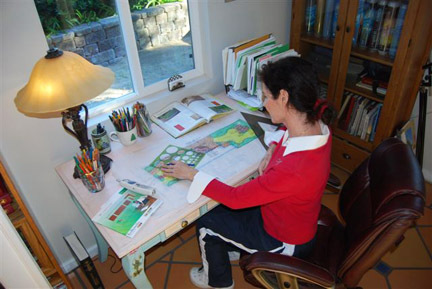 Whether you want to install your new garden in stages, or all at once, your landscape designer can assist you in every step in the decision making process. Your end goal should be a beautifully installed garden that you can enjoy for many years to come. Just think, if you start now, you could be sitting on your new patio in your new garden by the Summer. What are you waiting for?